Hand Crafted Hand Decorated Pottery Teapot. A Two Cup Teapot. Designed by Paul Cardew. Paul Cardew Backstamp Signature on the base. Made in High Fired Porcelain. A Mans Best Friend Teapot. Two Cup teapot designed by Paul Cardew. With the Paul Cardew Signature backstamp on the base. That has the the designs of different breeds of dogs decorated around it. With a bulldog puppy sitting in top of the lid. Produced in high fired porcelain. The height of this teapot is approximately 13cm. It will be the perfect gift for any occasion for a dog lover. 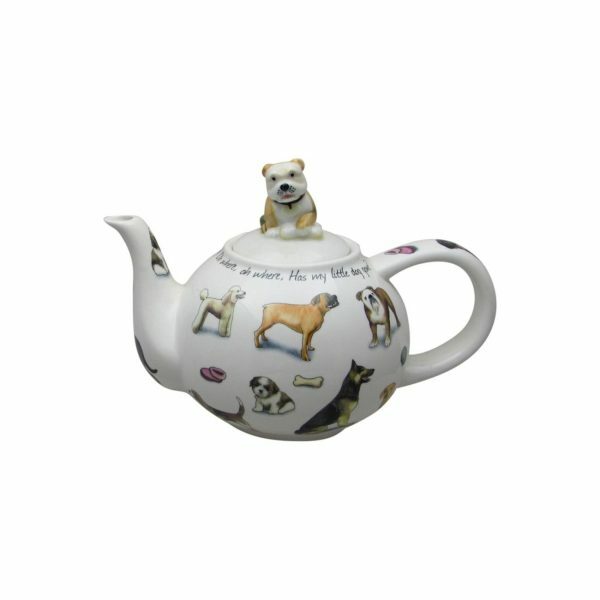 Our online price for Mans Best Friend Teapot is £25.00. Including UK Post and Packing (1 – 2 day delivery). And we discount our International Shipping Rates. 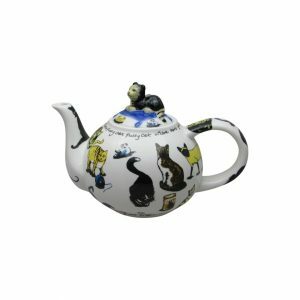 Click Paul Cardew Teapots to view other teapots in this range.